Few things warm your heart like the holidays, especially when you’re celebrating with an adorable pug-faced pal. Give everyone a weird taste of holiday cheer with Pug Poop Cotton Candy! 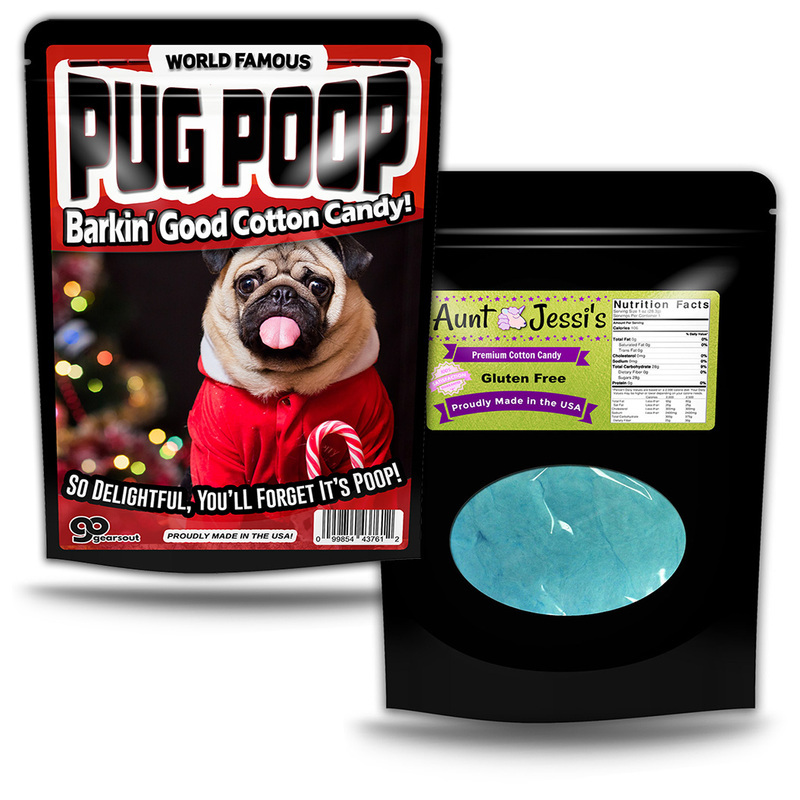 This poop is so sweet, they’ll be barking for more! 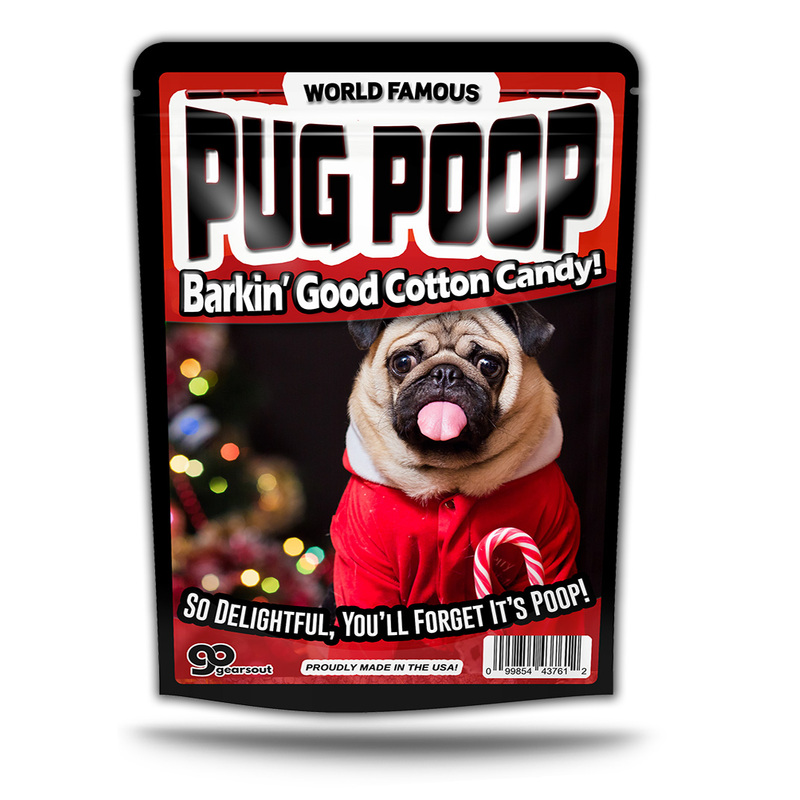 Pug Poop Cotton Candy makes an awesome stocking stuffer for your dog-crazy, laughter loving family and friends. 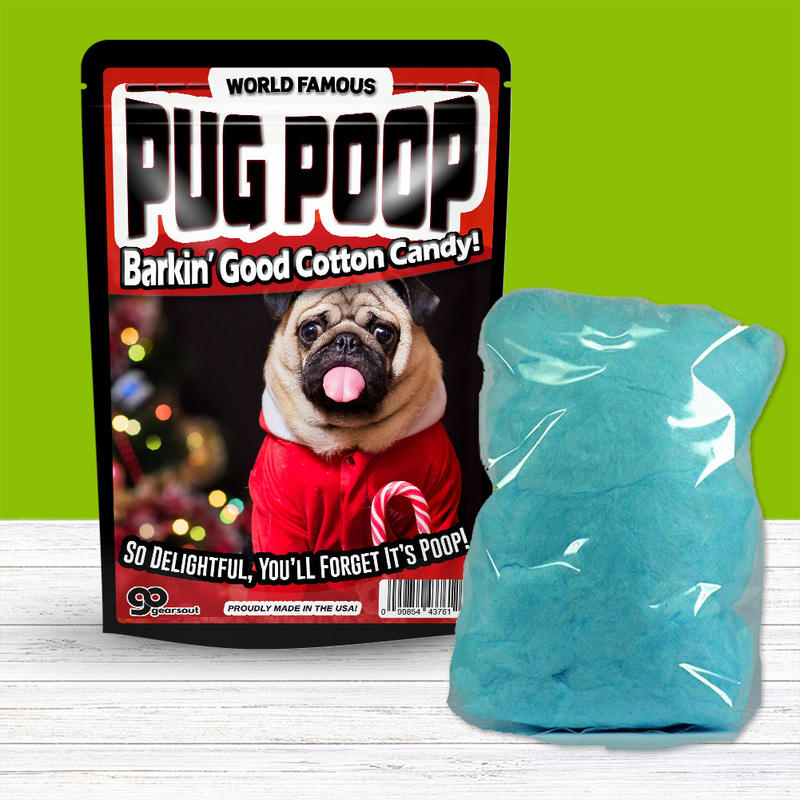 They’ll love this cute poop gift even more when they open it up and find tasty, blue cotton candy. 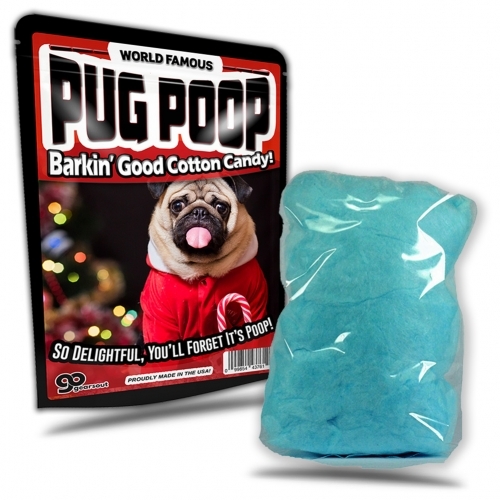 They’ll be so excited you surprised them with this pug-nosed pooch pouch, they’ll forget it’s poop!